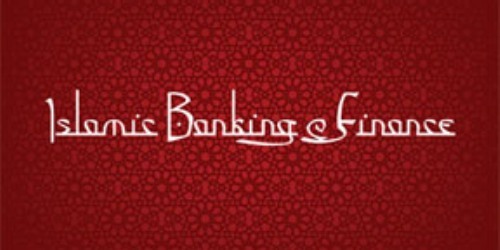 Islamic banks are unique institutions that draw their characteristics from Islamic Shariah, several centuries of traditions, and contemporary economic thinking and banking practices. By every measure, it is an innovation when compared to conventional banking. Yet, it is not far removed from the finance and banking industry, as it shares several common characteristics with contemporary practices. Some specialists in Islamic monetary and financial economics have insisted that universal banking is one of the main components of Islamic banking. Islamic banks provide finance to enterprises through either sharing directly in the net results of their activities or financing their purchases of assets, goods and services on credit. We can therefore expect Islamic banks to hold equity in corporations and sit on their boards of directors. They use the information obtained from their vantage point to reduce risk from information asymmetry and to fine-tune their finance directed to the same corporations. In addition, they can trade in goods and services, provide Islamic insurance, and operate in financial markets. In other words, they operate like universal rather than commercial banks (Al-Jarhi, 2003). The practice of universal banking is generally accepted as part of Islamic banking, but not commonly followed by Islamic banks. Islamic finance was an old practice that was generally forgotten for sometimes and gradually replaced by conventional banking. Perception of Islamic banking started as an old painting covered with dust and superimposed images. But, it is gradually and slowly coming clearer over time. A lot of literature has come out during the last quarter of a century to put some clarity into the old picture. In addition, Islamic banking as a concept has come back in the twentieth century while the banking and finance environment is highly sophisticated and current practices are well entrenched. We do not therefore expect novel ideas to be accepted on purely religious basis, reasoning must be made as rigorously as possible. Every part of Islamic banking must be rationalized in a way that would make sense both to bankers and economists. Universal banking has been practiced in only few countries, mainly Germany, Belgium, Italy, Japan and few others. Such practice continued while the dominant Anglo-Saxon world has set commercial banking as a standard practice within a heavily regulated environment. Therefore, universal banking must be justified, using the economics yardstick. The literature has grown immensely on universal banking during the last decade. Many writers have come up with justifications for universal banking and many others have expressed opinions that varied from mere doubt to outright hostility. It required a lot of sifting to find the main justifications behind universal banking. This paper tries to put forward the case of universal banking as a part of Islamic banking. A large amount of literature is surveyed that comes from banking theory, macroeconomic and monetary theory as well as empirical studies about banking practices. The conclusion is that universal banking on its own is a sound practice that can offer developing countries special advantages. Such a conclusion is rather important because many of the Islamic countries where believers in Islamic banking reside are developing. It would therefore be helpful to see that Islamic banking as it contains universal banking would give a helping hand in the process of development that would not be easily obtained from conventional banking. The paper is divided into seven parts. The first part summarizes the perspective of universal banking from the vantage point of the banking theory. The second part surveys the Gerschenkron- Schumpeter’s thesis of the role of universal banking in economic development. The third part presents a survey of the European experience regarding universal banking from two vantage points: that of Fohlin and of Da Rin and Hellmann. The fourth part summarizes an interesting debate between Fohlin and Temin on the role of universal banking in the industrialization of Europe. The fifth part presents the Da Rin and Hellmann model of big-push model and catch-up economy that can be considered to be the main contribution of macroeconomic theory to the topic on hand. The sixth part considers universal banking as a practice that would come out of deregulation under the practice of integrated financial services provision (IFSP) or integrated banking. We can therefore visualize universal banking taking many shapes each of which has its own pros and cons. The seventh and last part summarizes the findings related to universal banking and how it reflects on Islamic banking as a whole.